I’m so happy you’re here! I’d be honored to help you get back to doing what you love. I’m Nancy Byrne, Licensed Acupuncturist, Chinese Herbalist, and Yamuna practitioner. My goal is to help you feel like the best version of you, free from physical and emotional stress or pain. This is done by helping you to find space in your body, heart and mind. Chinese Medicine states that if qi and blood are stagnated, or not flowing freely, then there is pain. Yamuna states that if the body doesn’t have optimal space, there is pain. Lack of space in the body causes physical and emotional constriction and restriction. When the body is returned to its ideal form and alignment, through acupuncture, nourishing the tissue with healthy foods, bodywork, healing touch, and breathwork, then optimal space will be restored. Freedom from restrictions, both physical and emotional, will follow. In this new open space, qi (source energy) and blood (circulation) will flow effortlessly.In this space, you will find the best version of you. Find Space. Inspire Healing. Let me show you how. My favorite tools are Acupuncture needles, and Yamuna Body Rolling balls, and education about both. A client that was treated with both modalities - receiving body rolling (a form of stretching/myofascial release, that I regard as acupressure) followed by and acupuncture treatment. She had been suffering for back pain that put her out of commission for almost two weeks. She came back from the restroom after treatment, and she was beaming. This type of reaction brings me such joy….my passion is helping people get out of pain, and back to doing what they love. 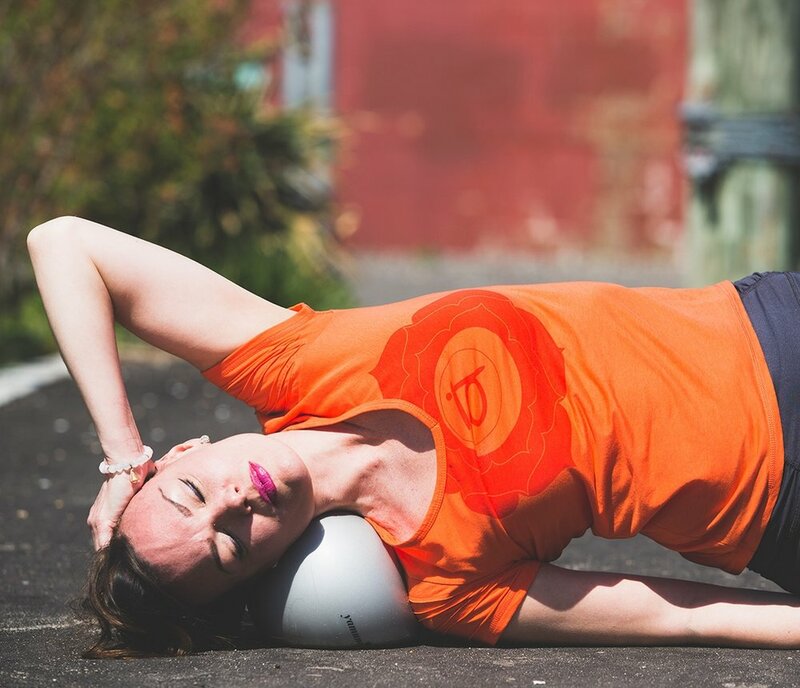 The best part of Yamuna Body Rolling is that you can learn to do it yourself - and understand the root of your pain, and how to manage it, prevent it, or relieve it altogether. I teach Yamuna Body Rolling from the perspective of the acupuncture channels, to really help you understand the connections in your body. I call it AcuRolling. Nancy Byrne is a Licensed Acupuncturist, Chinese Herbalist, and certified practitioner of Yamuna Body Rolling, Yamuna Breathwork, Yamuna Foot Fitness and Yamuna Face Ball. She earned her Master’s degree in Traditional Oriental Medicine (MSTOM) from Pacific College, and is nationally accredited by NCCAOM. She enjoys using Chinese Medicine hand in hand with diet, mindful movement, breathwork and meditation to promote health, limit stress and pain, and prevent disease in her patients’ lives as well as her own. Educating patients and sharing the wisdom and perspective of both Chinese Medicine and Yamuna’s work is her favorite part of her practice. Nancy believes that if the body is returned to its optimal form and alignment, through acupuncture, breath, massaging the tissues with bodywork, and nourishing the tissues with healthy food, then optimal space will be restored. In this space, Qi will flow. Freedom from restrictions, both physical and emotional, will follow.